On paper, Egyptian jihadist Ayman al-Zawahiri, who just formally filled Osama bin Ladin’s shoes as al Qaeda’s emir, seems a perfect replacement for the late Saudi terrorist. Zawahiri formed his own terrorist group as a teenager, and ever since he has fought autocratic Muslim regimes and the United States with both tenacity and intelligence. As bin Ladin’s number two, he learned at the feet of the master, and by some accounts taught his boss much of what he knew about how to run an underground organization. But whereas bin Laden was an inspirational organizer who helped unify jihadists as he created and grew al Qaeda, the general consensus is that Zawahiri is banal, divisive, and in most ways a lesser leader. U.S. officials greeted the announcement with scorn. One senior counterterrorism official declared that Zawahiri had not “demonstrated strong leadership or organizational skills” and that “alienation and dissention” is likely to plague the terrorist group. Let’s hope the predictions are true. But, as former GE CEO Jack Welch once wrote, “An organization’s ability to learn, and translate that learning into action rapidly, is the ultimate competitive advantage.” And al Qaeda, for all its faults, is a learning organization. 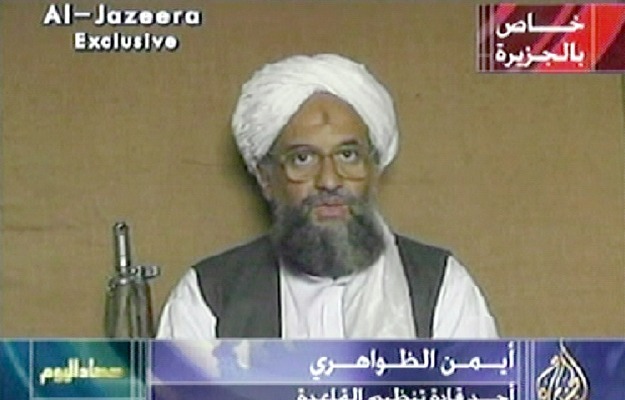 But does Zawahiri have the chops to lead and transform the ailing terrorist network? If he can learn from the organization’s past mistakes, he could make al Qaeda even more formidable than it was under bin Ladin. In the spirit, then, of the Harvard Business School extension campus in Waziristan, here are five lessons that Zawahiri and other terrorist groups often fail to heed. In the canon of management advice, emphasizing an organization’s people is perhaps the most common. Many organizations repeat this mantra without really understanding it and in practice honor it only in the breach. Terrorist groups, which eagerly sacrifice some of their best to war and suicide bombings, may seem an exception — but they are not. Many terrorist groups collapse in their first year (not unlike fusion restaurants and literary journals), and stories abound of would-be suicide bombers blowing themselves and their buddies up with prematurely detonated homemade bombs. At times, the results are more comical than frightening. In 2007, a car that terrorists had rigged to blow up near a London nightclub was towed because it was parked illegally. Picking the right people — and training and educating them — is as necessary for a terrorist group as it is for a top corporation. Al Qaeda has relatively few Mohammad Attas, the steely 9/11 leader who saw that plot through to its deadly fruition. Good organizations must attract smart people and then train them for violence, both of which are difficult. “Terrorism,” as the American analyst Brian Jenkins remarked many years ago, “is theater.” The show terrorists put on, however, can alienate as well as impress. In Saudi Arabia, the al Qaeda franchise initially slaughtered Muslim civilians as well as Westerners. That’s bad for business. They learned their lesson and became more focused in their attacks, but their early mistakes enabled the regime to paint the jihadists as murderous thugs, not holy warriors. The Saudi people turned against them after these strikes. The American military has a concept called the “strategic corporal” — in American wars, even a low-level soldier can, through a mishap, cause a disaster that, magnified by the media, discredits an entire operation. Terrorists have a different audience, but they too have a sense of what is right and wrong, and terrorists forget that at their peril. In addition to fomenting an uprising in Saudi Arabia, al Qaeda groups have tried to create an Islamic state in Iraq — and are now attempting to do the same in Yemen and Pakistan. They have done better, however, when they work with the locals rather than try to impose their will on them. Often, al Qaeda fighters are welcomed for their experience, weapons, money, and the training they provide — not their broader agenda of creating a caliphate. When al Qaeda imposes its puritanical teachings and brutal ways, the locals turn against them, as happened in Iraq. Over time, however, foreign jihadists can change the local cause. Their sacrifices, and the education and teaching efforts they provide, can give local fighters a more jihadist and international agenda. And war itself, with its slaughter and brutality, can radicalize fighters. Time can be a terrorist’s friend. The amazing spread of information technology makes it tempting to try to recruit, fundraise, and even train via the Internet. Some of this, of course, can be done, and one of al Qaeda’s greatest successes since 9/11 is the expansion of its media operations. But online, no one knows if you’re a dog. A lack of face-to-face contact is a nightmare for operational security, and even when Western spies are not virtually present an Internet chat room (or hacking Inspire magazine with cupcake recipes), it’s no substitute for the bonding that years of fighting and sacrifice create. Al Qaeda needs the training camps in Pakistan and elsewhere: such bases made it formidable in the past, and their continuance today keeps the organization dangerous. So Zawahiri shouldn’t count on Anwar al-Awliki to save him. This list, while done with tongue firmly in cheek, does have some value for U.S. counterterrorism officials. As the above lessons suggest, al Qaeda is an organization prone to divisions, and Zawahiri will have his hands full keeping it even semi-unified in this time of crisis. Efforts like the drone campaign in Pakistan are vital because they kill skilled leaders, which are in short supply these days. U.S. information operations must take advantage of al Qaeda’s blunders, making the terrorists defend their mistakes rather than gloat about their successes. And if the United States and its allies can decrease the number and scope of terrorist havens, it will be harder for them to form the in-person bonds they need to trust one another. With bin Laden now resting on the floor of the Arabian Sea and what seems to be a lesser leader at the helm, keeping an eye on what makes organizations tick will help the United States make life for al Qaeda’s new boss even harder. Daniel Byman is Professor in the School of Foreign Service at Georgetown University and Senior Fellow at the Saban Center for Middle East Policy at the Brookings Institution. 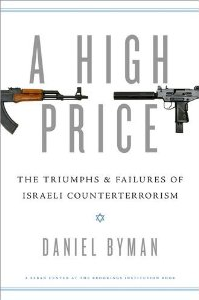 He has served on the 9/11 Commission staff and is author of A High Price: The Triumphs and Failures of Israeli Counterterrorism.